Universal Site Services is your professional parking lot sweeper in Livermore, helping keep your business looking great and running smoothly. Regardless of what your company does, our parking lot sweepers help you to maintain an appealing exterior and keep your employees safe from tripping, slipping, and other hazards caused by regular wear and tear on your asphalt. And you know what’s even better? A clean, well-maintained parking lot puts off the best first impression to potential customers and current employees. Imagine someone driving up to see a parking lot full of bird droppings, graffiti, and litter – it definitely wouldn’t encourage them to return for future business. Luckily for you, there’s a simple way to avoid this situation. 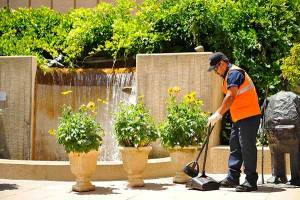 Call Universal Site Services for Livermore parking lot sweeping and maintenance today! 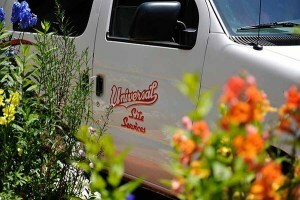 At Universal Site Services, we care about keeping the environment healthy. That’s why we use energy-efficient sweepers that help to keep our air clean by catching dirt, dust, and other particles before they can pollute the atmosphere. We also prevent car oils, trash, and other matter from entering storm drains and polluting our water supply. By investing in a parking lot sweeper in Livermore, you’re showing a commitment to maintaining an eco-friendly business facility. 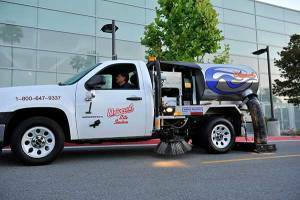 Why Choose Our Livermore Parking Lot Sweepers? Keeping a freshly swept parking lot removes unsightly litter from your vicinity, and that in turn discourages loitering, graffiti, and other unwanted activities in your area. Call Universal Site Services today for parking lot sweeping in Livermore and nearby areas. If you need parking lot sweeping in or around Livermore, then call us today to schedule an appointment. We offer variable sweeping schedules, including on a weekly, monthly, bi-monthly, or other intervals.